What happens in the moment between thoughts? What arises when we stop doing? 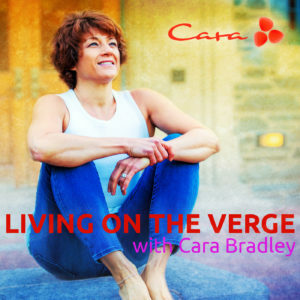 In this episode Cara talks about the space beyond our mental junk and emotional baggage where we experience a sense of spaciousness and relief. In this space between planning and achieving, we drop into a state where we access our natural intelligences and experience a sense of “all is well.” Discover this space for yourself as Cara guides you through a short exercise in pausing and resting in the space beyond over-thinking and over-doing. Also check out the Primer Practice: Stop. Take 5. Experience on the free On The Verge mobile app iTunes and Google Play.